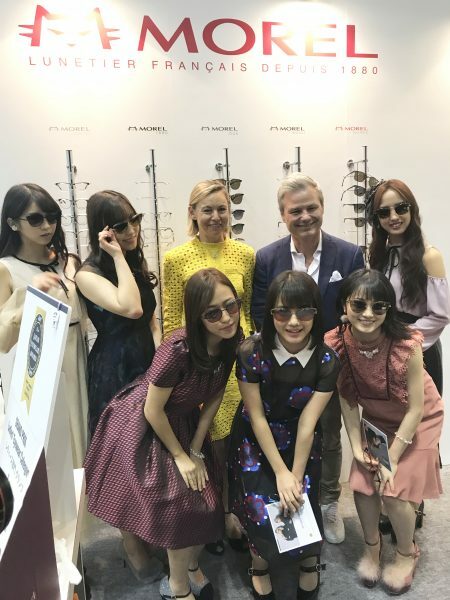 The IOFT, the International Optical Fair Tokyo, took place from 22 to 24 October 2018, during which MOREL won the Grand Prix of the Japan Eyewear Award, an international design prize, for the category of women’s frames. 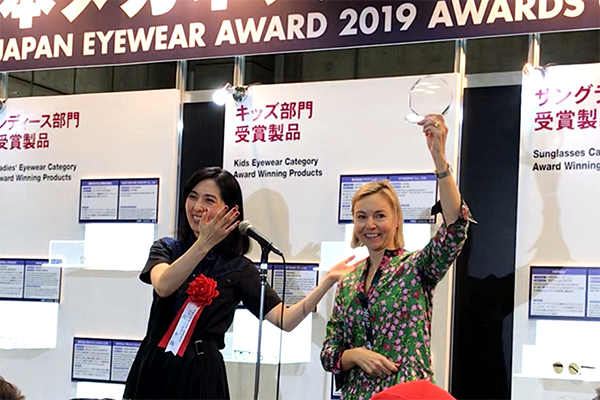 The IOFT is one of Asia’s most significant events in the optics industry, providing an occasion for optical professionals to meet while various brands compete in the Japan Eyewear Awards. Entrants for the awards are broken down into a number of categories: men’s optical eyewear, women’s optical eyewear, children’s eyewear, sunglasses, and technology. Award-winning frames are recognized for their creativity, their technical excellence, and their design, with three frames being shortlisted in each category before the Award Winner is announced. At the Japan Eyewear Awards ceremony, members of the judging panel, which was made up of designers, members, and optical professional selected the Grand Prix winners for designs in each category from among the shortlisted award winners, and this was the basis for the jury members’ decision to award the grand prix in the women’s optical eyewear category to MOREL. MOREL was rewarded for its creativity and its quest for an elegant, designer style with its work on a frame style in the Koali collection. The Grand Prix winner is inspired by cat eye glasses of the 1960s. MOREL’s designers used a great deal of ingenuity to create the award-winning style. How? With a delicate, sophisticated assembly with a metal frame enhanced by nylon lenses, with a graduated, transparent look that intensifies the cat eye effect. MOREL’s bold approach adds a stainless steel bar above the rims, creating a highly-feminine effect that emphasizes the wearer’s eye line and extends the effect of her makeup. Over the course of the years, eyeglasses have evolved into a genuine fashion accessory that allow wearers to lay claim to their unique look by adopting eyeglasses with a cutting-edge style. During the IOFT, a variety of Japanese personalities were able to choose their new glasses. 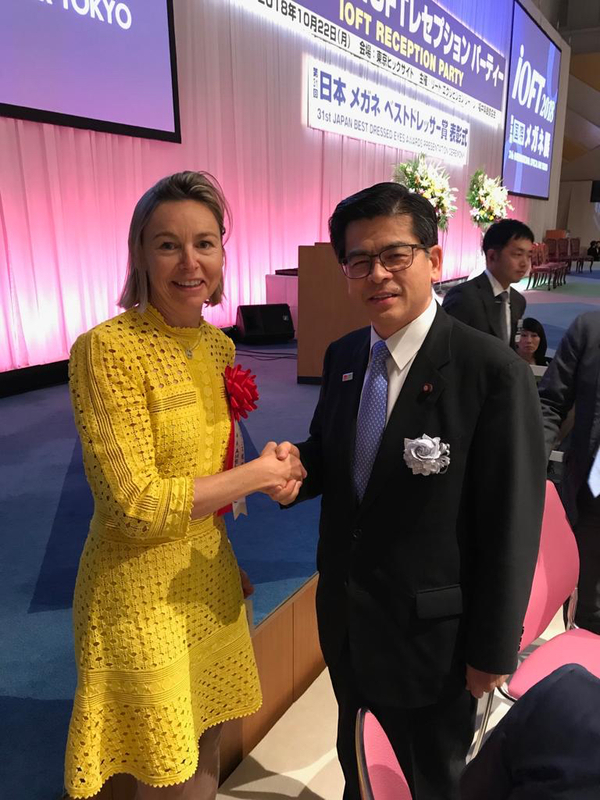 Mr. Keishi Ishii, the Minster of Transportation and Infrastructure, selected a model from MOREL’s Öga collection – a frame that has already won several design awards. Perhaps it’s no surprise, therefore, that the Minister was awarded the prize for Best Dressed Eyewear with his frames. The IOFT is also an opportunity to meet celebrities. Visitors our stand included the idols of the J-pop group, Morning Musume, who fell head-over-heels for the MOREL sunglasses that they all wore to enhance their kawaii look.